Things that nobody ever taught about hypnosis. What is the difference between conscious and sub-conscious mind? Why do hypnotists often change their pace of speech? Why is it difficult to hypnotise children? Why should we dress well when Hypnosis is all verbal? What effect does fractionation have on our mind? There are no tricks or skits in here; this is just knowledge that you’ll read. 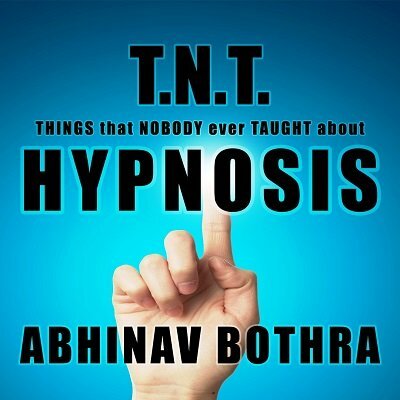 Knowledge that will deepen your love and understanding for hypnosis and will elevate your performance of hypnosis. When you purchase this you'll get an explanation video (a digital white board video) that superficially goes through the WHATs and WHYs and a short but informative PDF file that explains the same in detail.